Michael Barber et al have written this essay, Oceans of Innovation, detailing how education systems around the world must improve and develop. I have been struck by the table above which breaks down the differing factors which will bring about change. I welcome the focus at the heart of the education system on the quality of staff and the role of the organisation in developing and improving these staff. For too long school leaders expressed the idea that it was, “all about the children”. While this is a noble idea it positioned teachers as secondary agents to the welfare of the children. Perhaps a more helpful portrayal would have been to view teachers as active agents essential to the welfare of the children and to fail to invest in teachers is to ultimately fail to invest in children. The full report is available here. The hard part is to come up with as many as 100 things but that is the point. We generally can come up with a few ideas when we start thinking about solutions but that often means we come up with the ideas we have had before or we don’t start going to the weird and dangerous places where new ideas live. By searching for 100 ideas we have to be prepared to think the unthinkable and say ideas which would normally be shouted down as unrealistic. Susan Kare and Mac PixelArt The iconic icons from the early days of Macintosh. You can also download Cairo at this link. Children come to school with a disadvantage, but what will we do? It is heartening that Michael Gove acknowledges the state of affairs that some children arrive in primary education greatly disadvantaged to their peers. It is strange that he should imagine that turning a primary school into an academy should resolve this situation. At our school, the children who arrive in an advantaged position do well and those who arrive with such a disadvantage do less well. This is what we need to address but changing our school identity will not simply resolve this. It is interesting that Michael Gove believes that education and the state can change the situation of some children but there are those within his department who root the causes in genetics (link). When you connect these opinions to the recent comments from Boris Johnson (link) one might be forgiven for thinking that there is some confusion within the government about the causes and solutions to underachievement in schools. 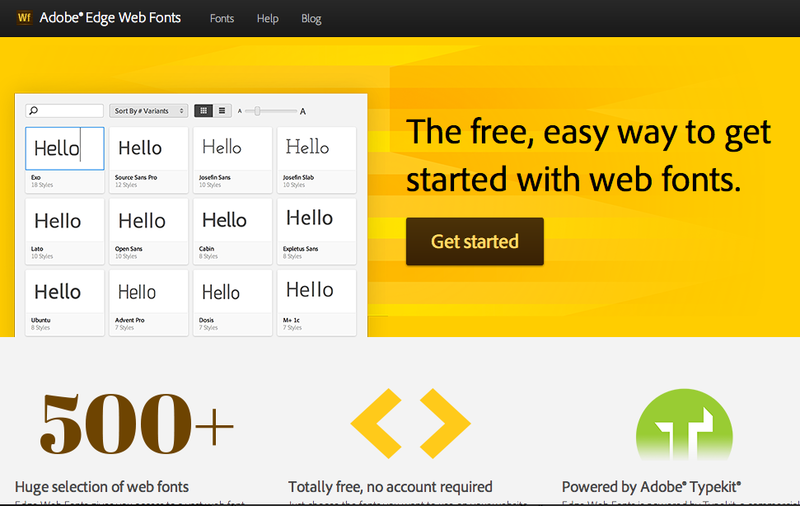 Open license to use Adobe fonts on websites, code automatically generated. Why do people sneer at Apple? 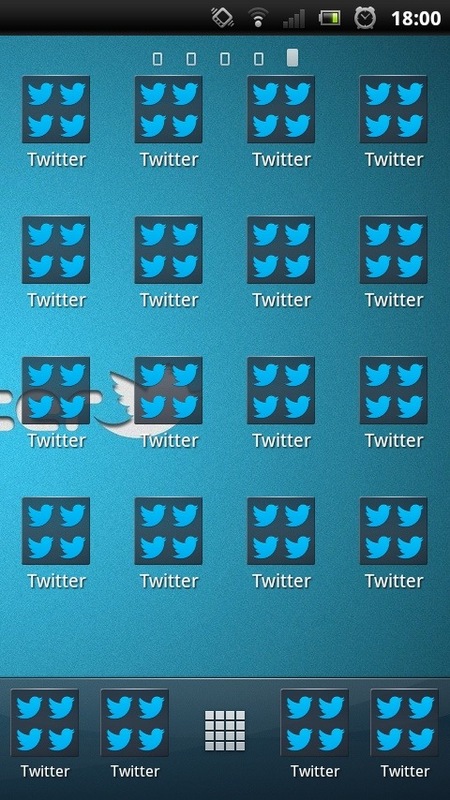 My son managed to get his Android phone to make every icon, folder and background use the Twitter logo. In one sense this is an impressive feat. It then made me think, “What’s the point?” I wondered when you would need to do this and how it helped the user be more efficient with their smartphone. My feelings are that there is no point, it can be done because it’s possible. Google, in designing Android, has decided that total freedom is more important that function and form. This would also assume that ths was actually a decision of design at all. Since the days of Macintosh, Apple has always been criticised for controlling the user experience. I have known many techie people who have hated the fact that they couldn’t fiddle or tweak System 7 and more recently iOS. They enjoy computers for their own sake and enjoy engaging with the technical experience. The thing that isn’t always understood about Apple is that they were always making technology to be used in life. This means that the freedom to fiddle is always less important than the experience. This is what Steve Jobs talked about in his famous talk about liberal arts being in their DNA. Recently Apple has been facing a lot if criticism for not keeping up and not adding features to their smartphones like HTC or Samsung. This article here is typical of the comment, http://www.thestreet.mobi/story/12033242/1/google-laughs-at-the-new-iphones.html. In the criticism levelled at Apple, people seem to resent the fact that Apple products cost more. They also demand that the iPhone jumps through hurdle after hurdle to keep up. This is no different than the processor wars of the 90’s. The thing about that competition was that in the end the ever increasing demand for speed reached a saturation point and any computer was fast enough to do pretty much all we ever wanted. We are now at a similar juncture. Apple have conclusively defined the features and appearance of a smartphone. Now we all we are doing is seeing slight modifications but nothing is really as significant as the initial iPhone look and feel. The world wasn’t crying out for a 41mp camera in their Nokia mobile phone. In the end I bought my iPhone because of how easy it is to use and how it helps me do my job. There are many things I’d like to improve such as the camera or the battery, but if I went to a phone that had these it wouldn’t use iOS. I don’t want an operating system that lets me do anything to it and therefore prevents me from doing what I need to do with it. The fascinating thing for me is the emotional response that so many people seem to have against Apple. They are angry about the cost, they seem irritated by the fancy design. They seem almost jealous of the Apple culture and want to upset the happy scene. As some sort of Luddite they seem to celebrate the inadequacies of poorer quality products. The irony is that they seem as devoutly opposed to Apple as the cringing Apple fans’ loyalty they mock.